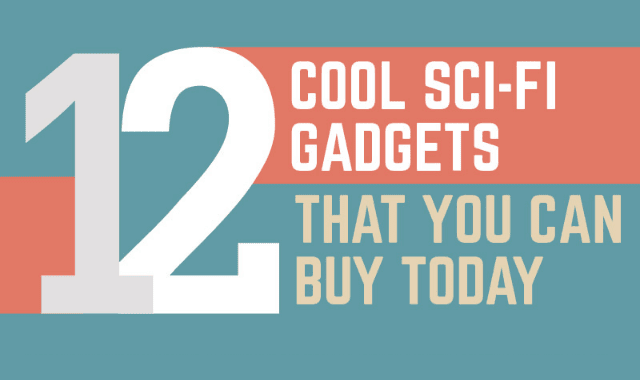 12 Cool Sci-Fi Gadgets That You Can Buy Today #Infographic ~ Visualistan '+g+"
In a world where watches monitor your heart rate, and phones convert your voice to text, anything seems possible. But even though technology continues to defy boundaries, many people wonder what even happened to the gadgets they saw in science fiction as kids. Well, many of them exist - and are for sale!